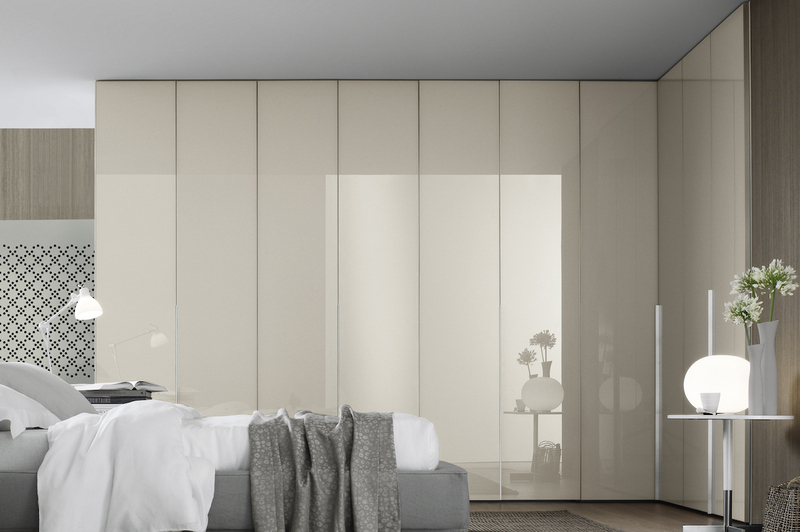 Quality modular wardrobes from Jesse with Glass finished doors. 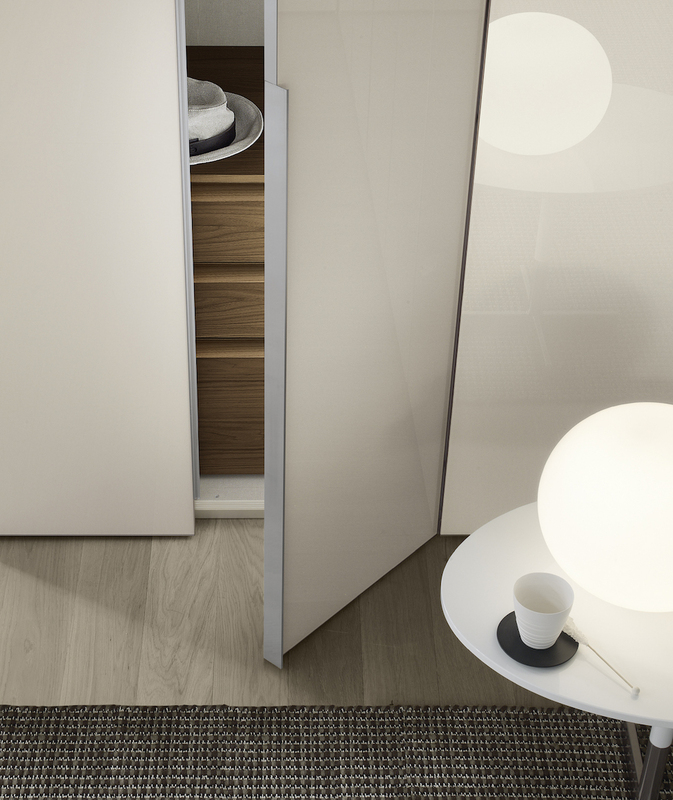 The Ghost range of wardrobes with hanging doors provides a choice of many element widths and heights to create a beautifully crafted made to measure feel, with the simplicity of using standard "building blocks". The hallmarks of the Ghost would be its simple lines and quality construction combined with the stunning gloss or satin finished glass panels. Even the largest of constructions have a stylish elegance with the soft close doors and smooth fittings. There are standard versions that we have priced, however not every space at home is the same, so we are very happy to help with space planning and layouts to suit all your needs. Therefore please do not hesitate to contact us by email at purves@purves.co.uk or call 020 3397 3723 for more information. Finishes: Standard Jesse lacquer colours are available to download here. Samples are avialable on request in return for £10 deposit. * Handles - M04 is the standard version for Ghost. See attached pdf for all Handles. * Standard Internal fittings - each column includes 1 shelf & 2 standard hanging rods. * Internal finishes - satin or therm oak (see finishes download above). * Internal extras - there are a selection of chest of drawers, sweater racks and lighting strips that can be added. 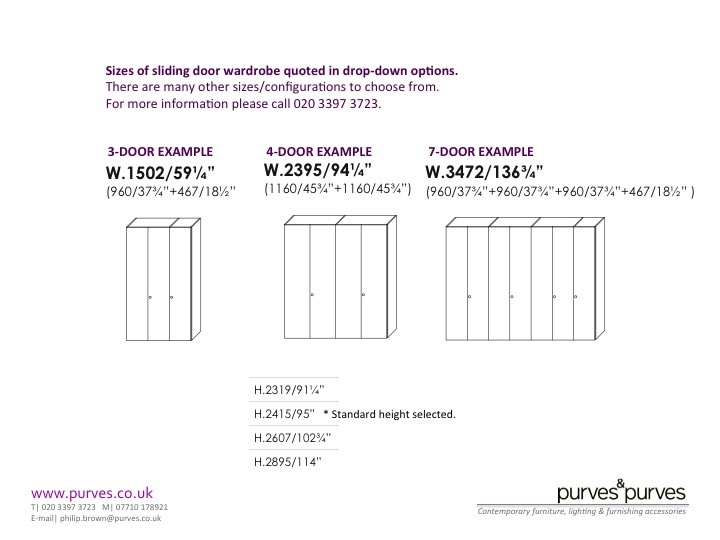 * Reductions in standard height and/or width of column sections/doors. * Fill-in panelling for that completely fitted wardrobe if stand alone is not what you are looking for.